Winter has arrived. Every morning we woke up to heavy snowing which transitioned to cold but sunny weather in the afternoons. We got as far as we could practically get with the cabin this season. The prospect of hanging off a 45 degree roof lining up sheets of plywood sheathing in the wind and snow didn’t appeal to anyone. 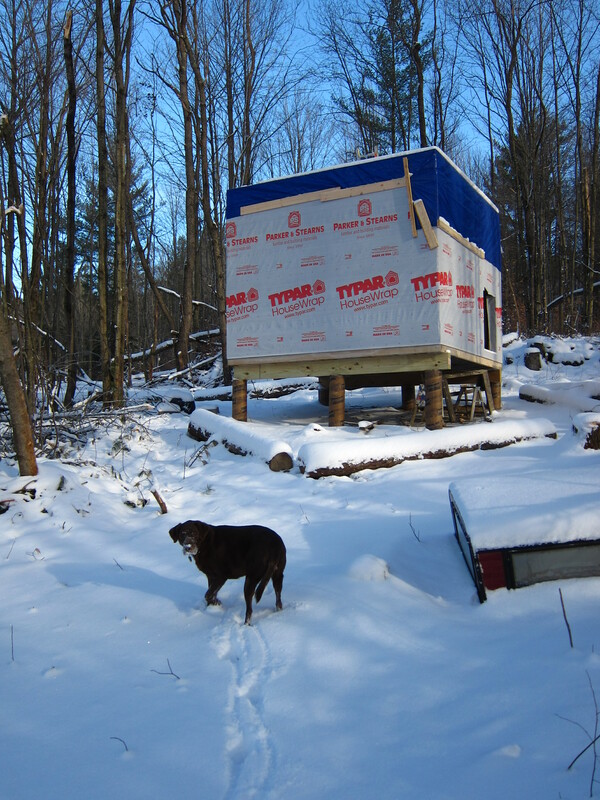 We screwed the floor down for the loft, wrapped the cabin in house wrap and got a tarp tacked down over everything. We also spent some time in Burlington to run some errands and visit with one of Chandler’s friends. 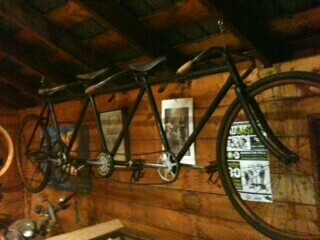 In Burlington, we found a way for Tayler to join us on our bike trip: a three person tandem! On Thursday we officially finished packing for the bike trip! On the 30th we fly from Boston to L.A., then on December 1 we fly from L.A. to Bangkok.